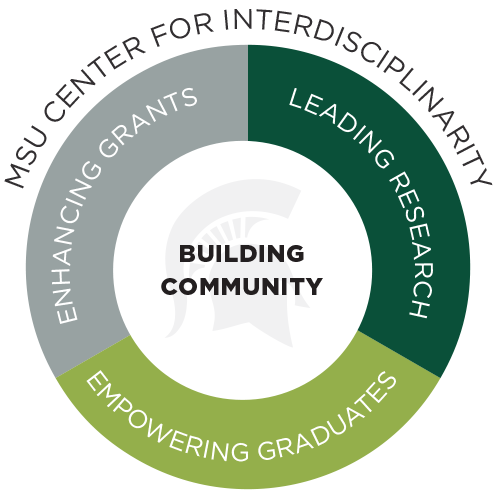 The MSU Center for Interdisciplinarity (C4I) is a research center in two ways. First, it conducts its own research on interdisciplinarity, contributing to literatures in philosophy and interdisciplinary theory and practice. Second, it supports interdisciplinary research, providing resources and programmatic opportunities for graduate students, post-doctoral researchers, and faculty who wish to pursue collaborative, interdisciplinary research. A key aspect of C4I’s research mission involves emphasizing the importance of the arts and humanities to interdisciplinary research on complex problems. The leaders of the future must be able to weave humanities values into scientific endeavors in ways that lead boldly toward new discoveries and enable us to effectively respond to our most difficult global challenges. the development and delivery of graduate education in interdisciplinarity that will train the next generation of citizen scholars across multiple fields of study with the skills required to address society’s most complex problems.